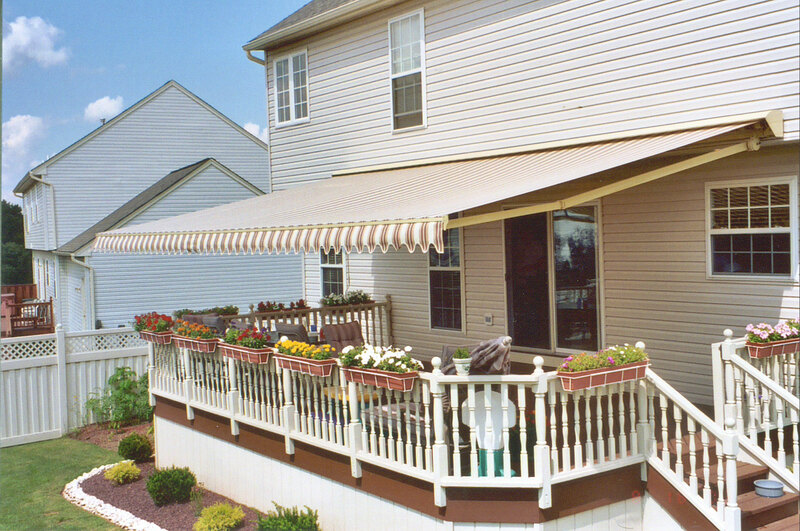 Our retractable awnings provide protection, promote flexible use of space, and add elegance to a home or business. Easily deployed and retracted, they smoothly adapt to conditions of heat, rain, or wind. They can spontaneously transform a restaurant’s sidewalk into al fresco dining space, or a home patio into gracious salon space. Long used in Europe, where energy costs are higher and air conditioning scarcer, the most elegant retractable awnings are Italian, and those are the ones we offer. 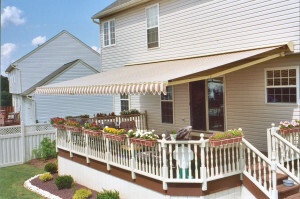 We offer two types of retractable awnings. Window Awnings reduce heat and glare with European simplicity, discretion, and elegance. Their powder-coated aluminum arms can project out to 5 feet and be up to 20 feet long, deployed manually or electronically. Fabrics come in over 300 patterns. 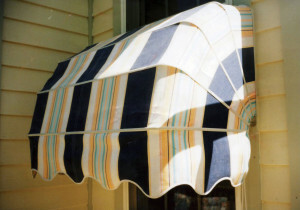 Lateral-arm Awnings are a modern improvement on the old storefront crank-up awnings. A torsion bar supports tension arms and a roller, spreading weight along a wall or soffit. Hand cranked, motorized, or automatic, they can project out to 13 feet and be up to 30 feet long. Fabrics come in over 300 patterns. Let’s talk. The professionals at Flagraphics possess an integrity rarely found in the workplace today. Their craftsmanship is incomparable in the industry. A most unique, creative, quality group of people. Flagraphics has better quality and responsiveness than anyone we know of in the business. Flagraphics is the best around because the quality is always there, the work is done well and they are customer oriented.